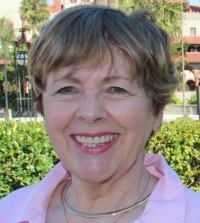 Elke McMenemy is a full-time real estate professional serving primarily Saint Augustine and the St. Johns County area. She is a real estate professional with more than 27 years of experience, and has built her business on a reputation of honesty, integrity, knowledge and trust. Elke has a strong following of past customers, their family members and friends. She also enjoys a vast referral network of reputable Realtors® across the country. TESTIMONIALS can be found on her website below. Elke is Founder and Past President of the St. Augustine Regional Chapter of the Women's Council of Realtors®. She has served as the 2005 District 1 Vice President of the Florida Chapter of the Council of Residential Specialists, and has been selected nine times by her clients and peers as a Five-Star Real Estate Agent for Best in Client Satisfaction in Jacksonville HomeBuyer Magazine. If you or someone you know is interested in buying or selling a home, please call or text Elke McMenemy at (904) 612-7312 for results you can count on!